8 5/8 L x 4 1/4 H x 1 7/8 D in. Box purse of solid wood painted in antiqued white edged with rubbing of metallic gold. 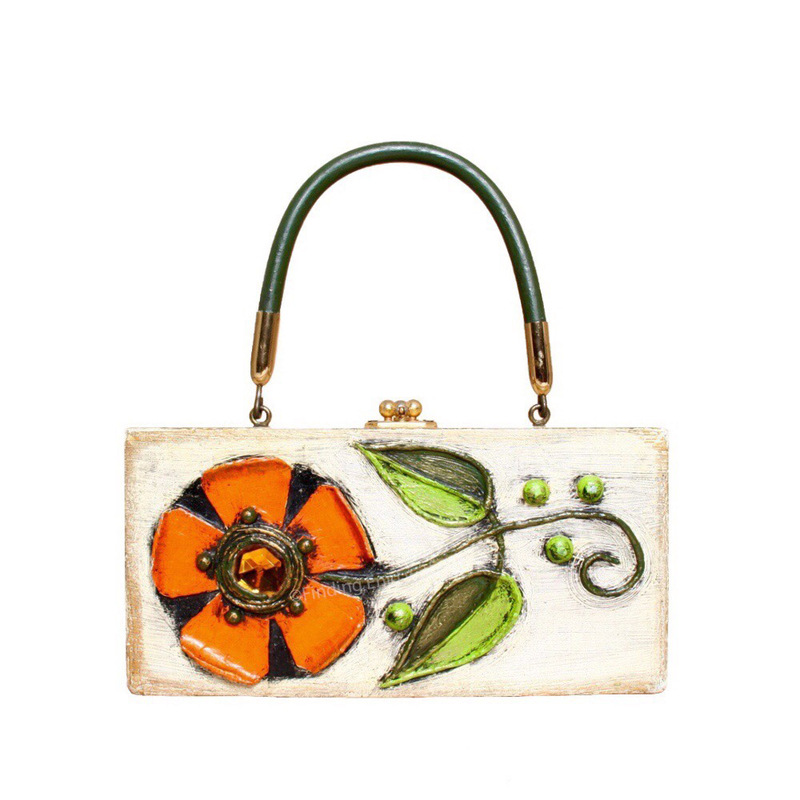 Decorated with a papier mâché flower in bright neon orange with a large faux-amber stone surrounded in metallic gold as its center. Leaves are bright green and deep olive. Small, round metallic-gold embellishments. Dark green vinyl handle. Part of papier mâché product line manufactured in Puerto Rico in the late 1960s.